The flexible exhaust extension for the Honda EU20i is made of stainless steel and can tolerate a maximum temperature up to 600 degrees Celsius. You can easily bring the exhaust of the Honda EU20i wherever you want. 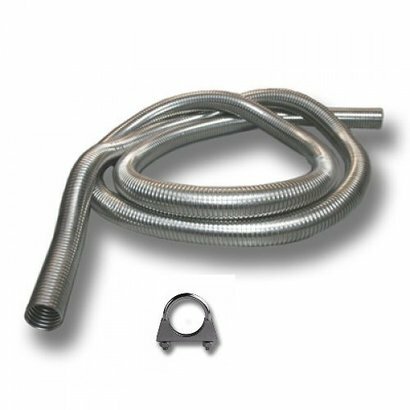 Because the Honda EU20i exhaust extension is flexible it bends easily and it is resistant against vibrations. It also mutes the sound of the Honda EU20i with 5 dB.